This article is about summoned familiars. For the vanity items, see Pets. 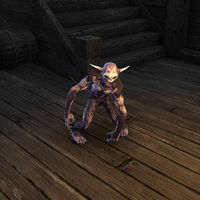 Familiars (sometimes called pets) are companion creatures that will follow the player. Unlike vanity pets, familiars are intended for use in combat and can be killed. 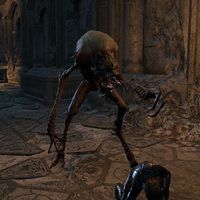 They can be identified by the 'follower' icon above their head, similar to quest companions. Betty Netches are summoned by the Warden's Betty Netch skill. Blue Betties are summoned by the Warden's Blue Betty morph of the Betty Netch skill. Bull Netches are summoned by the Warden's Bull Netch morph of the Betty Netch skill. 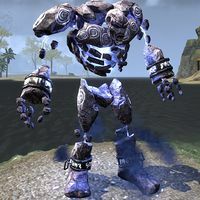 Charged Atronachs are stationary storm atronachs summoned by the Summon Charged Atronach ultimate morph. 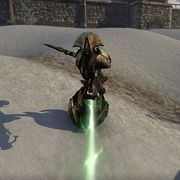 This skill is part of the Daedric Summoning skill line available to all Sorcerers. They deal targeted and AoE Shock Damage, and activating the Charged Lightning synergy will increase their damage. They are only summoned for 18 seconds. Clannfear are summoned by the Shadowrend set. Daedroths are daedroth familiars summoned by the Maw of the Infernal set. They deal Physical Damage and can use a fire breath attack to deal Fire Damage. They are only summoned for 15 seconds. Dire Wolves are summoned by the Werewolf's Pack Leader morph of Werewolf Transformation. They can come in brownish red, black, and white fur colors. 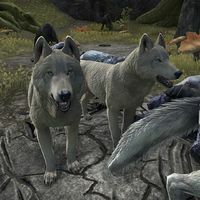 They were previously just called Wolves and could have one in black and one in red. Dunerippers are summoned by the Tremorscale set. Dwarven Spheres are three different types of Dwarven Sphere that can be summoned by the Engine Guardian set. Depending on the color, these familiars will restore your Health, Magicka, or Stamina for 6.5 seconds before dying. They can be killed before this time is up, which will obviously end the regeneration. Their regeneration beam also has an effective range, meaning it will stop should you manage to get too far away from them. Dwarven Spiders are summoned by the Sentinel of Rkugamz set. Enchanted Weapons(?) are summoned by the Morkuldin set. Eternal Guardians are summoned by the Warden's Eternal Guardian morph of Feral Guardian. Feral Guardians are summoned by the Warden's Feral Guardian skill. 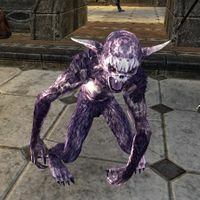 Greater Storm Atronachs are stationary storm atronachs summoned by the Greater Storm Atronach ultimate morph. 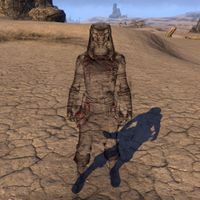 This skill is part of the Daedric Summoning skill line available to all Sorcerers. They deal Shock Damage, and activating the Charged Lightning synergy will increase their damage. They are only summoned for 18 seconds. Hungers are summoned by the Defiler set. They briefly arrive and spew acid at the opponent before disappearing. 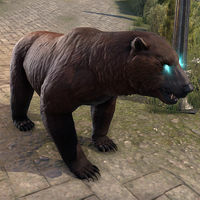 Primal Spirits spectral green bears are summoned by the Selene set. They very briefly appear and use their claws to slash the opponent. Restoring Twilights were winged twilight familiars summoned by the Summon Restoring Twilight morph of Summon Winged Twilight. This skill was part of the Daedric Summoning skill line available to all Sorcerers. Restoring Twilights attacked with Shock Damage and Physical Damage, and restored nearby allies' Magicka. They would remain until killed or unsummoned. This morph was replaced with Summon Twilight Matriarch. Shades are shadowy NPCs summoned by the Summon Shade skill. This skill is part of the Shadow skill line available to all Nightblades. Their attacks deal Magic Damage and reduce an enemy's damage. Two Shades can be summoned at once with the Dark Shades morph, while the Shadow Image morph increases their damage. Strangler Saplings are Stranglers summoned by the Chokethorn set. They send a healing beam to you or an ally player, which heals for 225-19565 Health over 4 seconds. 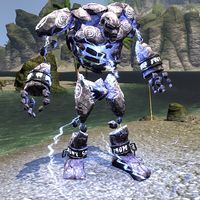 Summoned Storm Atronachs are stationary storm atronachs summoned by the Summon Storm Atronach ultimate. 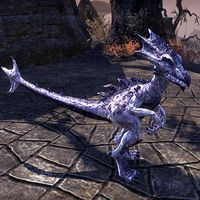 This skill is part of the Daedric Summoning skill line available to all Sorcerers. They deal Shock Damage, and activating the Charged Lightning synergy will increase their damage. They are only summoned for 18 seconds. Thunderfists are summoned by the Stormfist set. 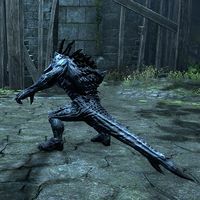 It appears as a very large Storm Atronach hand underneath the target opponent that closes into a fist, dealing damage and disappearing afterwards. 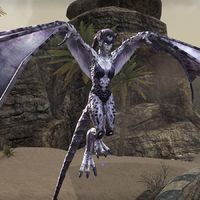 Twilight Matriarchs are winged twilight familiars summoned by the Summon Twilight Matriarch morph of Summon Winged Twilight. This skill is part of the Daedric Summoning skill line available to all Sorcerers. Twilight Matriarchs attack with Shock Damage and Physical Damage, and can restore up to two allies. They will remain until killed or unsummoned. 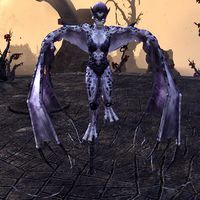 Twilight Tormentors are winged twilight familiars summoned by the Summon Twilight Tormentor morph of Summon Winged Twilight. This skill is part of the Daedric Summoning skill line available to all Sorcerers. 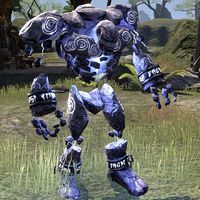 Twilight Tormentors attack with Shock Damage and Physical Damage, plus an additional 50% damage against enemies above 50% health if their special ability is activated. They will remain until killed or unsummoned. Unstable Clannfear are clannfear summoned by the Unstable Clannfear morph of Unstable Familiar. 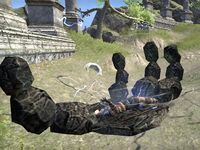 This skill is part of the Daedric Summoning skill line available to all Sorcerers. Unstable Clannfear deal Physical Damage and can perform a powerful tail swipe attack, and will restore a percentage of your health if killed. They will remain until killed or unsummoned. Unstable Familiars are scamps summoned by the Summon Unstable Familiar skill. This skill is part of the Daedric Summoning skill line available to all Sorcerers. Unstable Familiars attack with Shock Damage and Physical Damage, and will remain until killed or unsummoned. Verminous Fabricants are summoned by the Mad Tinkerer set. 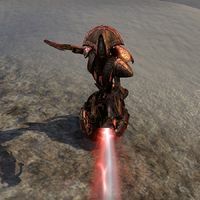 They are summoned as already being charged up and roll towards the opponent, knocking them off the ground and into the air, and disappear after. If the opponent dies before the fabricant attacks, it will wander around for a few seconds before also dying. Volatile Familiars are scamps summoned by the Volatile Familiar morph of Unstable Familiar. This skill is part of the Daedric Summoning skill line available to all Sorcerers. 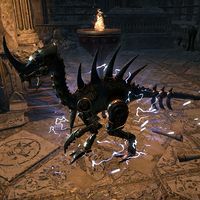 Volatile Familiars attack with Shock Damage and Physical Damage, and will deal AoE damage scaled off your maximum magicka if killed, stunning nearby enemies. They will remain until killed or unsummoned. Wild Guardians are summoned by the Warden's Wild Guardian morph of Feral Guardian. Winged Twilights are winged twilight familiars summoned by the Summon Winged Twilight skill. 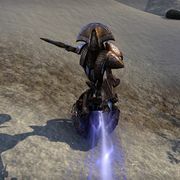 This skill is part of the Daedric Summoning skill line available to all Sorcerers. 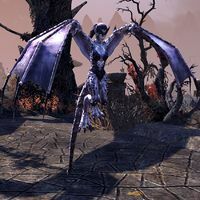 Winged Twilights attack with Shock Damage and Physical Damage, and will remain until killed or unsummoned. This page was last modified on 23 February 2019, at 23:47.